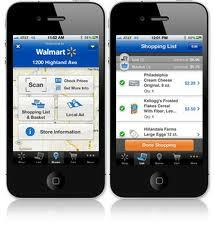 Walmart bringing EMV to the U.S.A.? Last year there were 944 million EMV cards in circulation worldwide, according to EMVCo, virtually none of which were issued in the world’s largest payments market: the United States. With the rest of the world now upgraded to a higher security standard, the U.S. has a critical decision to make on when, how and if it wants to make the migration to EMV. Henry is referring to EMV’s two forms of authentication: the chip and the PIN. The chip verifies the authenticity of the card–that it isn’t counterfeited–and the PIN verifies the identity of the user–ensuring that the card isn’t lost or stolen. How then does Walmart intend to bring EMV to the U.S.? “First of all, we’re having discussions with the media to help make our position known and to leverage other stakeholders in the payment environment that would have similar interests,” says Henry. 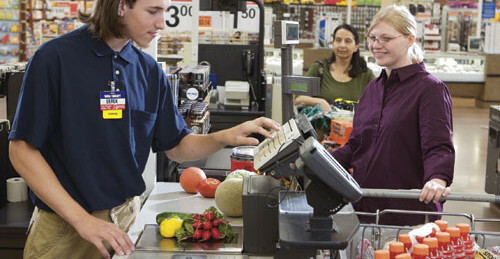 Walmart’s technology teams are also in the process of updating the retailer’s existing payment terminals with EMV-compliant software, enabling the cards to be accepted in stores. This project should begin in earnest in the coming year, Henry says. Contactless or not, EMV still has a few obstacles to tackle before becoming a reality in the U.S., Henry says. Unless merchants see lower interchange fees for EMV transactions there is no incentive for them to spend the money to upgrade the terminals and infrastructure. Issuing banks also don’t have an incentive to issue the new, more costly cards. EMV transactions take longer to process at the point-of-sale, Gauthier says. EMV was developed between 1994 and 1996–before the e-commerce boon–and authorizes transactions offline whereas transactions in the U.S. are conducted online. This means EMV transactions take a few seconds longer to process than magnetic stripe transactions, which has deterred retailers claiming those extra seconds amount to significant losses in revenue, says Gauthier. There’s the issue of money and how long it will take to make the switch to EMV. There are roughly 1 billion payment cards in the U.S. and 6 million merchants, and updating those kinds of numbers will take some time and cost. This is why leveraging the burgeoning contactless movement would be so beneficial to EMV, according to Gauthier. Still, despite the snags, Gauthier says the U.S. has never been closer. “Probability of a migration to chip in the U.S. is high, the planets are aligning, and payment networks are looking in earnest at migration,” he says. If merchants, payment processors and banks get on board with a more secure payment solution it might not be traditional EMV as seen in other countries, Gauthier says. “We could have ‘EMV a la 2010’–EMV updated for today’s payments in the U.S., which includes leveraging contactless,” he says.